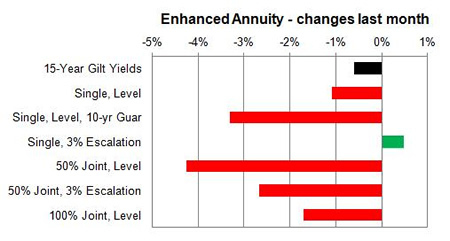 Providers of impaired annuities have reduced their rates by up to 6% in the month beyond the fall in 15-year gilt yields ahead of EU Solvency 2 legislation starting in january 2016. For the fifth month in a row providers of impaired annuities have reduced rates and during the month of October by an average of 1.9%. For some specific medical conditions, ages and annuity features from Just Retirement, Liverpool Victoria and Partnership rates are lower by up to 6%. Although the 15-year gilt yields have reduced by only 6 basis points, impaired, enhanced and smoker rates are significantly lower. Providers are using the Solvency 2 legislation as a reason for further falls in rates. Solvency 2 requires providers to strengthen their balance sheets by retaining more capital to protect policyholders from future uncertainty. Standard providers lowered rates by 0.46% and we would expect to see a annuities to reduce by a further 1.90% in the long term. 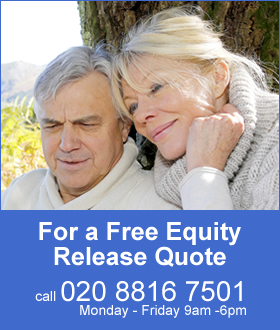 Smoker and enhanced annuity providers decreased their rates by 1.90% on average and in the long term rates may rise by 0.2%. Equity markets started at 6,361 and decreased by 5 points to end at 6,356. The majority of rates increased with 32% rising, 7% remaining unchanged and 61% decreasing. 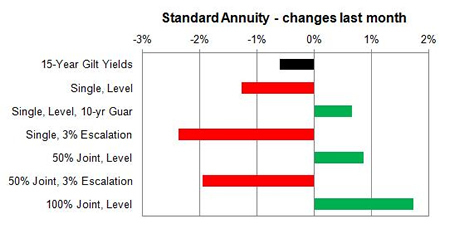 Standard annuities was mixed with 40% of annuities reducing and 60% increasing. The highest increase of 3.8% was for 3% escalating, single life aged 55 although most escalating rates decreased. Annuities for 100% joint life and level all increased by an average of 1.7%. The largest decrease was 5.7% for level, single life aged 75. For enhanced and smoker providers rates virtually all rates decreased and in some cases significantly by up to 6%. The providers are reducing their rates ahead of the Solvency II legislation even though the changes have been expected for three years and rates have already been discounted over this time.